While some of the 280 students at Henry S. West Laboratory School get excited for early release Wednesdays, others look forward to attending their school’s coding club. Nicolas, an 11-years-old fifth-grader, enjoys coming to the West Lab Coding Club at the Coral Gables school because he gets an opportunity to share ideas with his friends and collaborate on them. “I like the freedom of what we can make,” said Nicolas, who now wants to become a programmer. This is the kind of enthusiasm Erika Reed was hoping to foster. Reed, the founder of West Lab Coding Club and a computer-science alumna from the University of Massachusetts, began the program after searching for computer-science classes for her 7-year-old daughter Sofia. Frustrated with the lack of options, Reed offered to research and develop the club in order to teach her daughter and any other students how to code. After the kids park their book bags outside of the school’s computer lab, they log-on to Tynker.com. Reed and her assistants hand out instructions asking the students to complete certain coding tasks. Some of these tasks — giving an on-screen character behavioral orders through 15 command blocks. Once the student completes his or her assignment they are then allowed to play MIT coding math games for the remainder of the day. According to Code.org, a website dedicated to the field of coding education for young children, only 1 out of 10 United States schools offer coding classes to their students. “We want our children to leave here not only ready for middle school but already thinking about careers,” said Barbara R. Soto Pujadas, Henry S. West Laboratory’s principal. 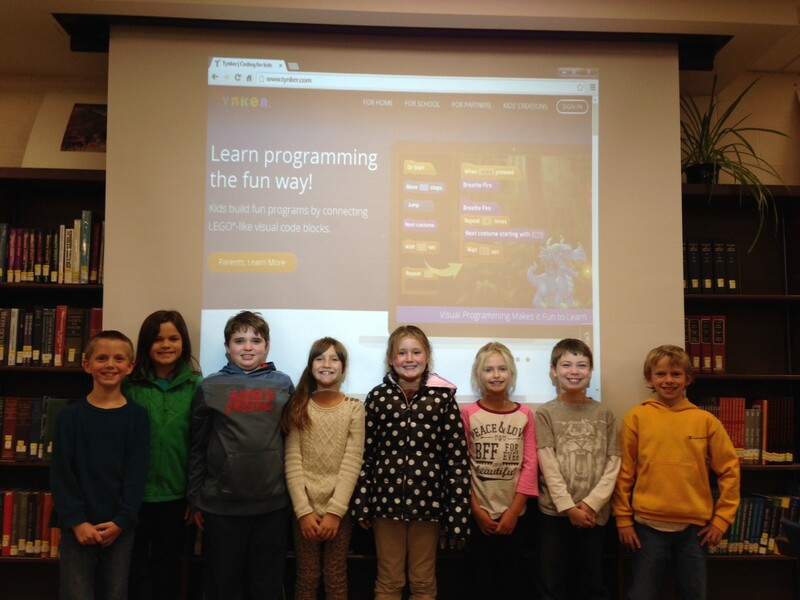 Tynker in the News: Michigan Public Media: Why Should Kids Learn How to Code?